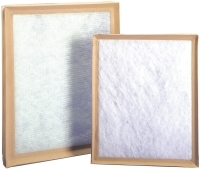 The Purolator Panel Filters are available from Columbia Filters in two forms. F312 disposable panel filters are designed to withstand the demands of tougher industrial and commercial applications. Purolator assures filter robustness by using construction features not found in traditional designs.